@larrykingundead and @antoniosanciolo discuss some ideas to save the DC Cinematic Universe. We always put a whole bunch of spiel here about other projects and donating and such, but I’m trying a new wordpress widget that doesn’t seem to like copy-paste, because Beta-Testing has to conclude I guess. 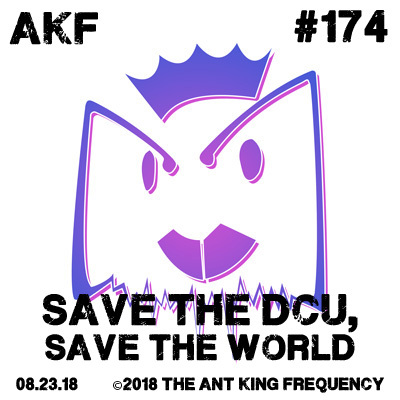 Anyway, the most important thing is you let us know if you have any questions, queries or comments AND you understand that the Ant King Frequency is copyright 2018 by White Tiger Grafiks.